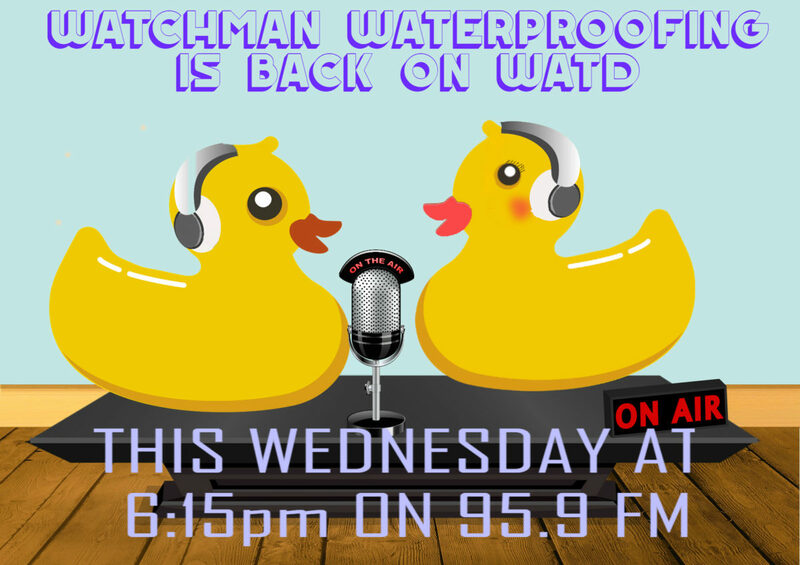 Tim & Dave are back on WATD 95.9FM tonight at 6:15pm, as guests of Sharon McNamara & Cindi Ford on Talk Real Estate. Interested in hearing Basement Waterproofing Horror Stories? Well then this is the radio show you should be listening to tonight. If you’re not in your car or listening to the radio while you are home you can always check out our Facebook Live stream! This is your chance to see if Tim can really juggle 15 rubber ducks at one time! Do you have questions about basement waterproofing, sump pumps, back up batteries, vapor barriers, downspout management, crack management,or dehumidifiers? Feel free to call into the show or ask questions on our live stream.